Click here to choose your preferred MetroCard now! Click here for a printable sponsor sheet. Congratulations to the Fencing Team! 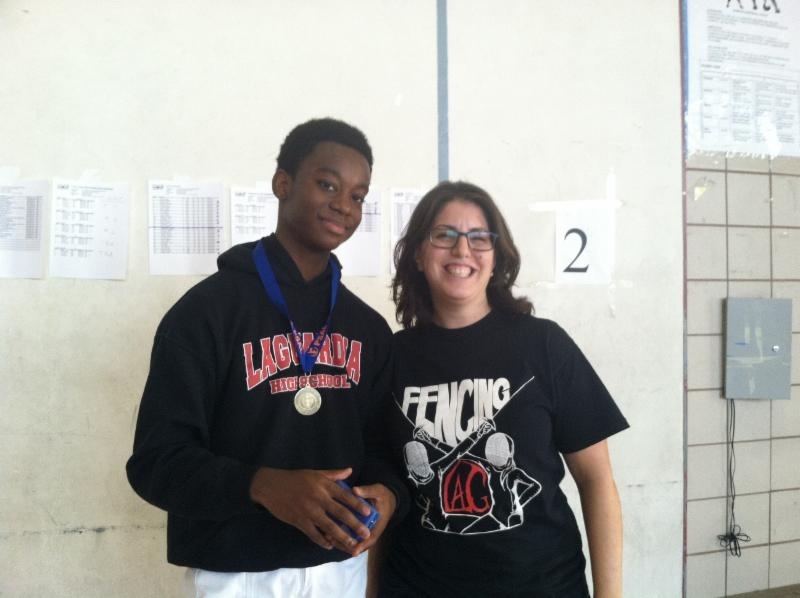 Two of the LaGuardia Boys Varsity Fencing Team Members medalled at the 2014-2015 Boys Novice Championships held at Long Island City High School on Sunday, October 19, 2014. 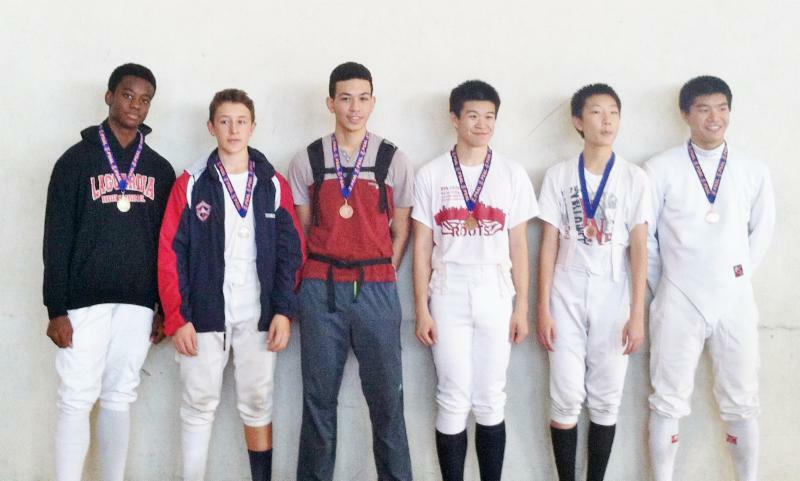 Sophomore, Anthony Leverett, received the Gold as the First Place Winner for Epee and Freshman Nicholas Prince received the Bronze as the Third Place Winner in a very close 2 point spread finish in the Foil competitions. Coach Sarah Falkove, parents and other Athletics Team members (like Foil Team Captain, Jhakai Deshong and Manager, Sharon Jobelle Bawayan) cheered them on! Please reach out to Mrs. Prince and Coach Falkove if you would like additional photos from the event. 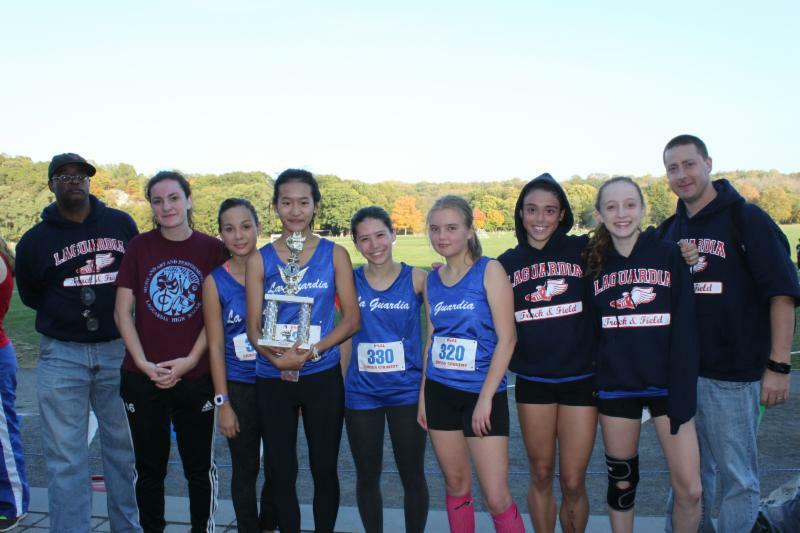 Girls Cross Country: Congratulations to our Girls Cross County Team for finishing 2nd in the Manhattan Borough Championship! Erika Yamazaki finished in first place with a time of 19:48:90 and will be joined by teammates Claudia Morano, Emily Tavares, Maria Korolkova, Chloe Wilson, Gabriela Banda and Lailani Guzman at the City Championships on Sunday November 9th.Girls Bowling Team: A shout-out to our Girls Bowling team who are presently in 1st place!Girls Volleyball Team: Presently in 2nd place with a record of 7-2, our girls have a busy week with 3 meets in the next 4 days.Boys Cross County: Congratulations to Tomas Reimer for finishing 1st in the Manhattan Borough Championship with a time of 16:45:14. Stay Tuned! One of LaGuardia’s alumni just received an American Idol yellow ticket, which advances him to the televised show. Best of luck to Qaasim Middleton, Vocal Major from the class of 2013. The next Academic Forum meeting will be on November 19th with Dr. Mark Stricklin, who will present a more detailed look at the guidance suite. Ms. Fischer has posted a new DonorsChoose project to launch a NEW Math library – with an amazing selection of books connecting Math with Art and Music. She would like her classes and all students at LaGuardia to have the opportunity to learn about Ada Lovelace, Paul Erdos, Hypatia, Brahmagupta, Evariste Galois, Archimedes and so many others. As many Art majors take Illustration, math-centric children’s books are included in the wish list, in order to inspire original books and illustrations about Math. Please help launch this great library initiative! The goal is to eventually offer books connecting Math to all LaGuardia Arts Studios. For TWO DAYS only, you can DOUBLE YOUR DONATION when you type SPARK into the box marked “promo or gift code” and hit ‘Apply’. Please click here to donate. Thank you! Fill out all of the information needed and make sure you click the “LaGuardia Families” list. Make sure you complete the form by entering the studio and graduation year of the student or you will NOT get emails from your studio or for your student’s specific year – for example, college news for seniors.